A bit different thing today, a simple task but greatly helps me in getting my jobs done fast. I am in the middle of housekeeping our Citrix licenses as it needs to be renewed. Due to the fact that we are using User/Device model, some users who are already left the Company might have their ID still utilizing the licenses. By freeing up the licenses, it will help the Company to reduce Operational costs and assign the licenses to the other users. Well, it is almost year end, and everybody is coming up with their plan for performance review, why shouldn't I? ^__^! To compare 2 sets of data (Data 01 : all users who are utilizing the licenses, Data 02 : all disabled users id AD). I there are match, it means the users can be removed and the licenses can be released. 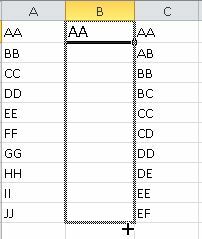 Change the formula a bit so data in Column A could be compared against all data in Column B. In my case as I have 10 data, I changed from $C$5 to $C$10. 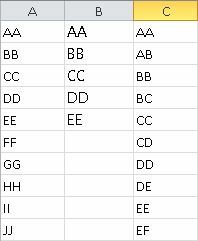 Next, copy the formula in B1 to B10 (in may case, yours might be more / lesser than that).